Four black ivy league students cross paths when the campus humor magazine decide to throw a tasteless hip hop themed Halloween party. Director Justin Simien delivers a confident, slick movie with a lot of fantastic jokes, but not a very interesting story. Antagonist Kurt Fletcher is a nothing but a two-dimensional cardboard cutout of a jackass, not a good example of white people in general. If Simien was trying to point out real white racial insensitivity, Fletcher didn’t feel like the most effective conduit for that idea. For that reason I'm giving it 3.5 Barbie doll weaves out out of 5. Why Barbie doll weaves? See the movie to find out. 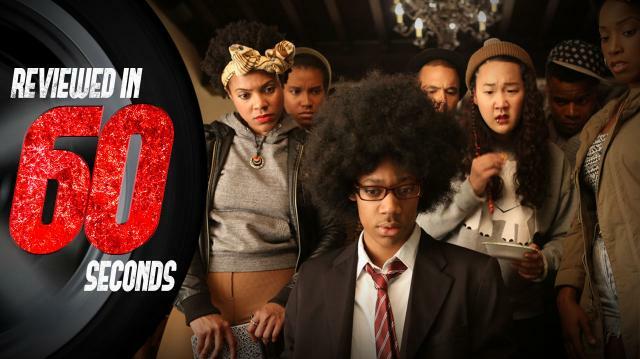 Dear White People is now in select theaters.